Traveling will never be complete when there is no food to eat. Agree? 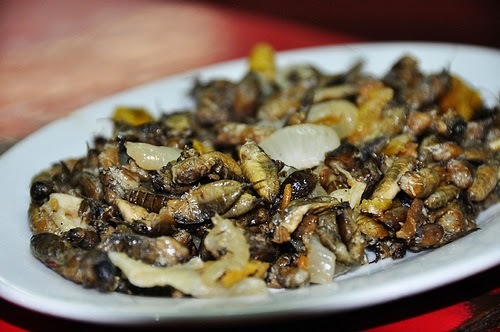 Some of us here are planning to embark on a gastronomic adventure in the Philippines and for various reasons. Why don’t you count Pampanga food trip on your list? Did you know Pampanga is the Culinary Capital of the Philippines? When it comes to exploring the province, you definitely wouldn’t want to miss the delicious and mouth-watering food Pampanga has to offer. For some, tasting the various kinds of food is one of the many ways to learn more about Pampanga’s history. Through these, they perceive they’ll eventually learn about where and how a particular food originated and how important it is for the Pampangenos. Indeed, Pampanga takes its food seriously. That is why, you will be overwhelmed with the various and numerous food choices on the table. Well, fret not if you are traveling on a shoestring, there are a lot of restaurants that offer affordable Kapampangan dishes without compromising the taste. Aside from their specialty menu, trying their drinks will leave you no regrets at all. Must-try, too! For the foodies at heart, you can go to these five restaurants either through a private car, commute or through walking. Yes, there are restaurants that are a walking distance from your place that is, if you live or stay near any of them. Below are the five restaurants that you should never miss when you are in Pampanga. You’ll love these places for sure. Angeles City is known to be the Sisig Capital of the Philippines. The word sisig originally referred to a Kapampangan way of cooking meat with slightly sour seasoning. 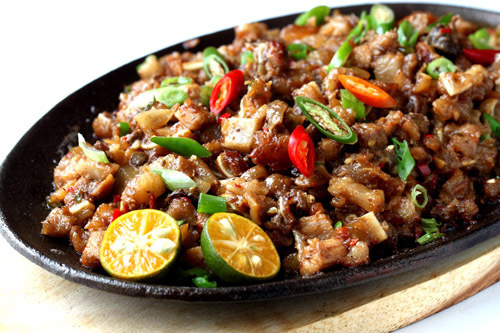 Sisig is a dish of fatty, sizzling pork bits that are served on a hot plate. And if you are a sisig lover, you should never miss visiting Aling Lucing’s Sisig and Mila’s Tokwa’t Baboy to try their versions of sisig. While it is an ongoing best sisig battle, consider eating sisig in these two places so you’d know the difference. If you are hype for a cozy canteen-type ambiance, why don’t you try the Everbody’s Café? You will enjoy eating their Kapampangan classics such as the Pritong Hito (fried catfish) wrapped in mustasa leaf with Buro (fermented rice with shrimp). And if you are one of those people who love to try new and exotic menu, much on this traditional resto’s Adobong Camaru (rice field crickets that taste like bacon), Betute Tugak (stuffed frogs that taste like stuffed chicken), and Pindang Tapa (fermented carabao’s meat). Everybody’s Café is also known for its morcon, which is meatloaf with chorizo, duck eggs, and other special ingredients. If you are looking for a cool, quiet and relaxing place to eat, you have to try Abe’s Nature Farm. This place is one of the escapes for most Manilenos, who are also looking for a decent Kapampangan food. This place is known for good Filipino food such as Sinigang Bangus Belly with Ripe Guava (it’s another style of sinigang with crushed guava fruit and sour broth), Pinakbet Capampangan (it’s a variety of fresh garden vegetables simmered with shrimp paste and fish meat). You can also try their Binukadkad na Pla-Pla with Balo-Balo & Mustasa (it’s overgrown tilapia butterflied and fried to delightful crispiness, served with balo balo relish and mustasa leaves, a Bistro Remedios original). If you want to try these out, you need to have a reservation to be accommodated in this private farm. If you are a person who prefers eating in a traditional place, then Atching Lillian will definitely suit your standard. It’s a place where you will be served the best Kapampangan breakfast in a traditional house that was converted into a restaurant. Of course, they don’t just serve breakfast, but also different Kapampangan dishes. They also provide a culinary demo of the province’s cuisine. In here, you will be hearing Atching Lillian’s stories about the San Nicolas biscuit and how to make it using century-old biscuit molds. When you are feeling hot and wanted to have some dessert, you have to try Halo-halo sa Corazon (Corazon is a place, not a person). For most Filipinos, the usual ingredients of a halo-halo are composed of twelve ingredients with more toppings. However, if you try the version of halo-halo in the Halo-halo sa Corazon, it has only beans, sweetened saba bananas and sweetcorn, topped with a flan made from carabao’s milk. You will love the taste of this halo-halo. Aside from these six restaurants, there are still a lot of restaurants you should try. A Pampanga food trip will never be complete without visiting these restaurants. I bet, you will love to come back again and again. Enjoy!